Cabinet Dreams & Things, Inc.
MAC Enterprises of Tampa Bay, Inc.
Barbour Custom Cabinetry Design, Inc. Comment: Want to update kitchen cabinets and sink, also countertops. Comment: I would like to get an estimate for cabinet repair. I have a dog that still thinks it is a puppy and she pulled the laminate off of end cabinet drawer. Nothing else needs to be done to our cabinets other than replacing the white laminate, or replacing the drawer if they can't relaminate it. The drawer is 15 and 1/2 inches wide, 12 inches tall, and 20 inches long. Only the front of the drawer needs to be relaminated. We would like to drop it off to be repaired or replaced. Comment: Reface cabinet, new doors and drawer fronts. Add one custom cabinet base, add counter tops. Comment: I have a dog that still thinks it is a puppy and she pulled the laminate off of end cabinet drawer. Nothing else needs to be done to our cabinets other than replacing the white laminate, or replacing the drawer if they can't relaminate it. The drawer is 15 and 1/2 inches wide, 12 inches tall, and 20 inches long. Only the front of the drawer needs to be relaminated. We would like to drop it off to be repaired or replaced. Hudson Cabinet Contractors are rated 4.86 out of 5 based on 291 reviews of 19 pros. 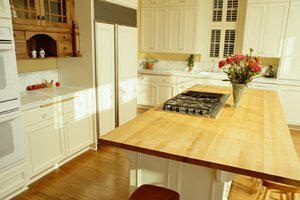 Not Looking for Cabinets Contractors in Hudson, FL?